PDA is just a phone call away. Process and Data Automation is a full-service, CSIA Certified industrial control systems integration firm. 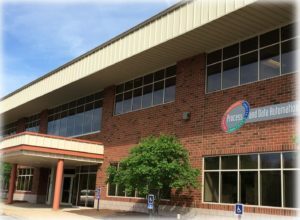 Our Controls Engineering group specializes in physical automation system design, programming, and commissioning. We also feature a dedicated Digitalization Group (DSG) that connects automated equipment and systems to the business system environment including protected recipe systems, data collection and reporting, and data historian implementation. Our DSG can provide the systems you need to set your systems up for proper operation and then provide the tools you need to make sure you execute as planned. Our CSIA certification assures our clients that Process and Data Automation delivers superb technical solutions from a professionally managed system integration business. We enjoy long-term relationships with our clients and take pride in knowing that we are part of their ongoing commitment to manufacturing and processing in the most efficient manner possible with the best-associated business benefits. Process and Data Automation is a Rockwell Automation recognized systems integrator for the Controls discipline as well as one of 28 recognized integrators in North America for the Information discipline. We are also solution partners for GE Intelligent Platforms, Wonderware, Siemens, and Schneider Electric. The breadth of our experience allows us to design and implement solutions that are truly independent and in the genuine best interest of our clients. View our CSIA Certification Certification HERE! 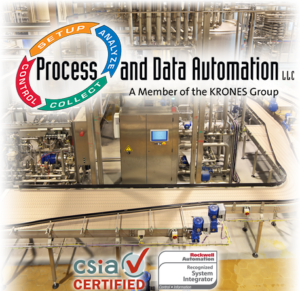 Krones designs, develops, manufactures, and installs both machines and complete packaging lines. Krones has become one of the leading system suppliers for breweries and beverage producers as well as for the food, chemical, and cosmetics industries. Our 16,000 employees worldwide strive for innovation and detail and ensure that each customer receives the best quality in product and service. Learn more about them HERE.